You can deny the fact that the Kodak is offering the 4K Tv at the cost of HD TVs of some brands like Samsung, LG and more. 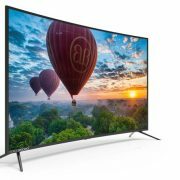 Yes, there are few pros and cons this 4K budget TV has but still, when you compare it with other brands; it really doing a great job at the price it is coming. Moreover, also don’t expect premium quality and high performance from this TV. Price: Rs. 50,999 (MRP), available at Rs. 34,999 on Flipkart. Inbuilt Google Play store app. Super Plastronics Pvt. Ltd. (SPPL) working under the Kodak brand license taking over the budget smart Tv market of India in a sprint way by intermittently launching the good quality TVs at reasonable prices. The recently launched Kodak 4k 50uhdxsmart led tv is a little brother of the Kodak 55UHDXSMART 4K Led Tv which was launched last year at the price of ₹41,999. All the features of both TVs are exactly same expect a major difference which is the size of the TV size. We already have reviewed the Kodak 4K 55UHDXSMART TV in detail, so due to exactly same features, we would focus on the main things & details which one wants to know in the TV review like picture quality, connectivity, and overall performance. 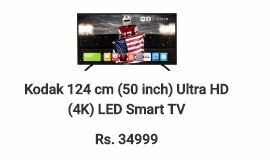 On the Flipkart, the price of the Kodak 4k 50uhdxsmart led tv is ₹50,999 but it is available at the price of ₹ 34,999. The specs provided by the Kodak are sounds very attractive on the paper at this price, especially the 4K capability of the TV. H2S Media lend this Kodak 4k 50uhdxsmart led tv for review and after using it for two weeks, here is our opinion and thoughts about it. The Kodak 4K 50UHDXSMART has thick bezels around the panel in a black color with a small Kodak logo which is in silver at the center of the bottom. Like its elder brother 4K 55inches, it also has the remote sensor and the manual TV operating buttons at the bottom right side. 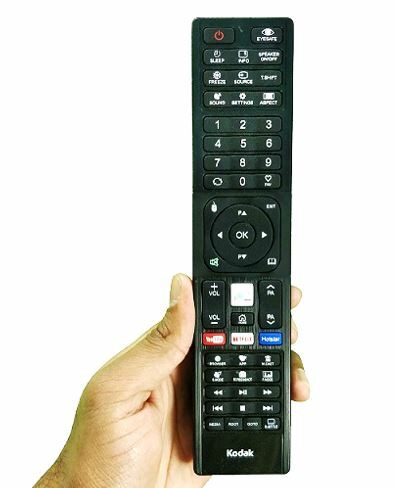 The location of the remote sensor can cause a little inconvenience because of it highly directional and you need to point the remote towards the extreme right direction of the TV where the sensor is situated to get it to work. However, it is not a big deal and you get used to it but as most the people aiming the remote at the center of TV; so, it might be a problem. Inside the box of the TV you also the get the Wall mounting Kit but we didn’t use that, instead we used its silver color metal stands those are very durable and strong. The space left between TV and the stand is quite low, so if you want to use some kind of soundbar then it need put somewhere else unless it not sleek too much. The Tv back has a lump and seems thick overall as compared to other UHD TVs but no complaints as its price compensate that. The weight of the Kodak 4k 50uhdxsmart is distributed in a very balanced way over the stands which not left any room for the pivotal movements. The left side, which can be accessed easily has a room for all the daily usage ports such as 3.5mm headphone jack for audio output, 2- USB ports, 1- Side HDMI, SDcard slot and RF Connectivity Input (TV -in) or TV antenna terminal. The thing which going to bother you and can also be seen in the most of the TVs are the rear ports. 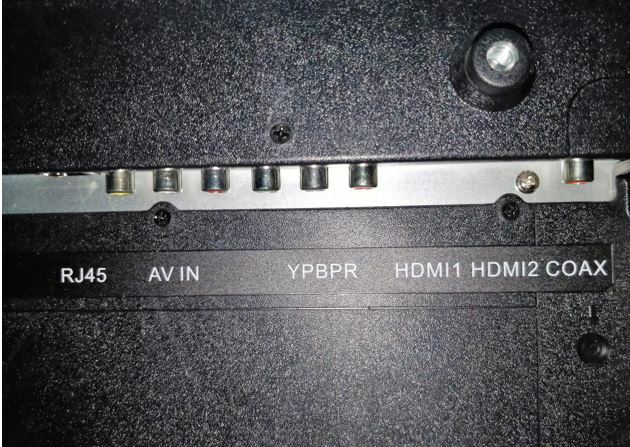 If you want to wall mount the Kodak 4k 50uhdxsmart Led Tv then accessing the ports of the TV like two -HDMI, RJ45 port, Digital Coaxial Audio output, Component In (RGB Cable) or Y Pb (Cb ) Pr (Cr ) after mounting it can be a headache. These all ports are facing downwards, so be sure to wire up those you want before mounting the TV. For connectivity, the Wi-Fi Bands: 2.4/5 GHz, Ethernet, and Miracast are there. The setting, all of them is pretty much easy without any problem at least in our case. To connect the WiFi, the option is there in the settings under the Network menu. Once, you established the Wifi connection, it saves and remember the credentials of the connected WiFi network and connects automatically, every time you switch on the TV. The Miracast connection of the Tv may cause some trouble while connecting because in our case, initially, we failed to connect but in two or three tries my OnePlus 5 smartphone and TV successfully able to establish the screen mirroring. The best part is, most of the important options shortcut keys are available on the Tv’s remote such as Miracast, App, Browser, Screenshot, Picture and sound mode, Media (to play the media files from USB drive), Root folder (direct access SD card or USB root folder), Subtitle, Youtube, Netflix, Hotstar, Source, and more. If you are using the browser or any other app you can also use the dedicated mouse button which enables the pointer on the TV screen. Browsing the web, TV and while using streaming service we didn’t find any connectivity issues. Yes, as I told you above while Navigating the TV through remote you need to point it towards the extreme right side that’s a bit issue. 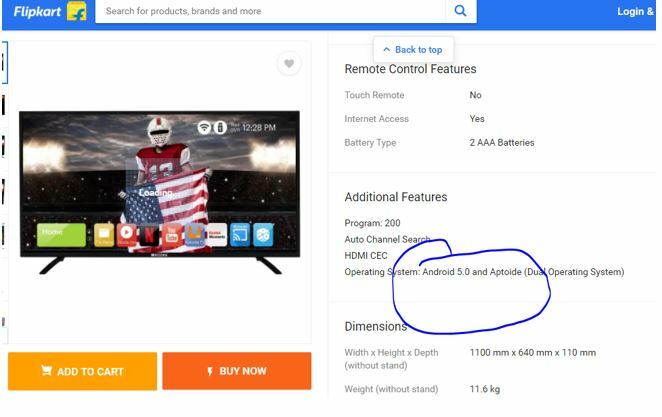 The Android version this budget 4K TV uses is the Android 4.4.4 KitKat which is really annoying because in the launched press release and on the Flipkart they have mentioned that the TV is running on Android 5.0 Lollipop. But in our review unit what we found that the TV was running on the Android 4.4.4 KitKat; might be company planning to upgrade it in future but right now there is no upgrade available or any information about the OS upgrading. It comes with pre-installed Web Browser, App Store, Game Centre, YouTube, Netflix, Hotstar, Facebook, Twitter, Gmail, Aptoide TV, Amazon shopping and more. 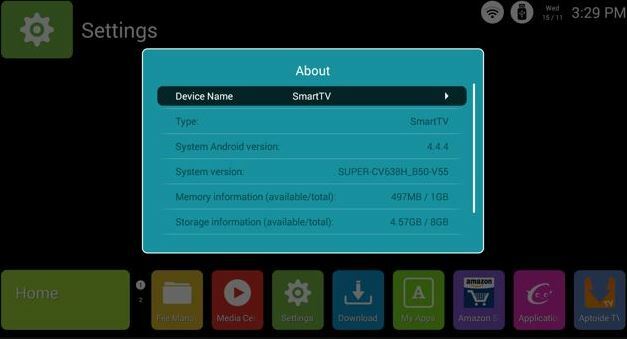 The best thing which makes it different from its big brother (55UHDXSMART) is it has pre-installed Google Play store and with help of App key on the Remote once can directly install his favourite apps on the Smart TV. It also has a third-party app store called Aptoide which provides a good range of apps to install on the TV including Amazon Prime Video, Spuul, Eros Now, Saavn and Gaana. 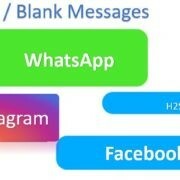 The User interface is fairly responsive and another great feature is; if you are working or using some app on the TV like Youtube and due to some reason you need to turn off (standby mode) the TV from remote; whenever you turn it ON again you will get it back in the same state where you have left it. Kodak 4k 50uhdxsmart runs on the CPU – Cortex A53 Dual Core 1.4GHz processor, 1 GB RAM and flash storage of up to 8 GB. 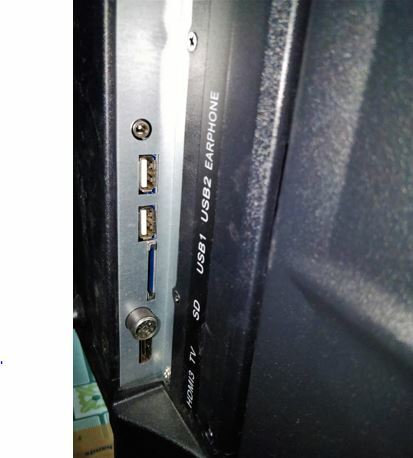 The GPU used by the TV is Mali-T720 and has two 20W speakers those can be switch on/off directly from the remote if you using the external speakers. The brightness of the Tv panel is 500 nits, 178-degree view Angle, 60 Hz Refresh Rate. 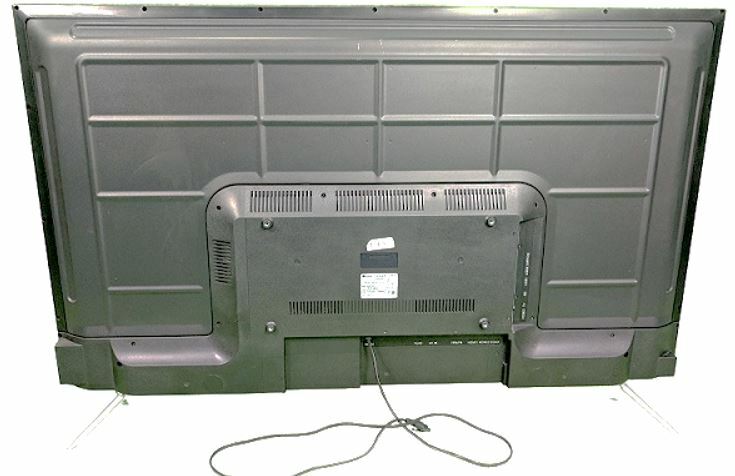 The Dimension of the Tv is 1100 mm x 640 mm x 110 mm and weight is 11.6 kg without stand and 11.8 kg with stand. The Panel used in Tv is A+ Grade IPS Panel manufactured by the Samsung and supports the resolution ­­­­­­­­­3840 x 2160 which is UHD and a slightly less than full 4K resolution i.e 4,096 x 2,160 resolution also known as Cinema 4K. The TV is HDR capable but the company didn’t mention which HDR version they are using and the exact amount of contrast ratio supported by the TV. However, the difference in the colour range and brightness can be seen while watching the Netflix and 4K videos on Kodak 4K and other premium 4K TVs of Samsung and LG which is better. But do not forget that LG and Samsung also going to charge a hefty amount for their quality. The black levels are not that much deep as we would like to see; that’s why the shades of brightness can be seen easily on the darker part of the picture. However, the bright scenes did really good work. The color production and the skin tone appear natural and there is no sign of over saturation. But despite being HDR you still feel lack of color vividness. The display of the TV is crisp with great viewing angles. We also played some UHD content locally via USB drive but the viewing experience was still OK! Not that much great. As we know the 4K content is still not available in the DTH set-top box, so we played its standard HD content which looks good even after upscaling on the 4K panel of this Kodak smart TV. If you are a music lover than the audio output from the two 20W speakers are going to disappoint you. Because the sound it produces is very loud but flat. There is no bass or range, however, the vocals are clear and crisp. If you want a good sound output you need to use external speakers or surround sound speakers for the TV. Also, in terms of remote connectivity and apps handling of SMART TV need some improvement. Apart from this, we have not found any other problems, it recognizes our 2TB Seagate external drive easily without any performance issue. The one more thing which we would like to tell is the despite being a 4K TV, the videos played in its Youtube app are not going to show 4K resolution. The highest resolution in any Youtube video you will get is 1080p. 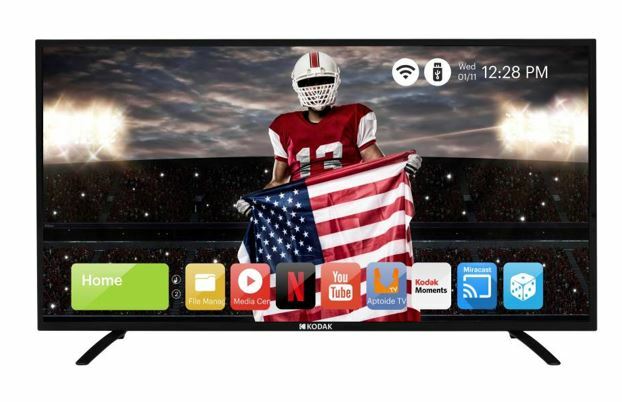 This Kodak 4K TV also supports HDMI CEC (Consumer Electronics Control) which allows your TV remote to control other devices those are connected to it through the HDMI such as set-top box and or DVD player. You can’t deny the fact that the Kodak is offering the 4K Tv at the cost of HD TVs of some brands like Samsung, LG and more. Yes, there are few pros and cons this 4K budget TV but still, when you compare this 4K TV with other brands; it really doing a great job at the price it’s coming. Moreover, you can’t compare it with the OLED 4K or high-cost premium 4k TV, if we do so, it would be injustice with the Kodak 4K. Overall, if you want a 4K in a budget price with some comprises like remote connectivity and good picture quality (as compared to premium 4K TV) then it is your cup of tea; but still not that much compelling to buy at least to me. It’s one of the worst equipment I ever purchased. Looking at kodak’s brand equity I purely made the decision. TV stopped working Within 5 months of purchase, It’s one month, but they cannot find replacement of motherboard. Service after sales is very poor. Suggest, don’t waste your money on Kodak TV. 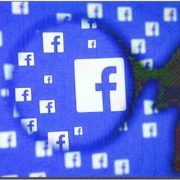 Also not to ignore, numerous complaints online of Kodak TV. It’s a Delhi produced TV under Kodak license. Kodak Eastman would be truly disappointed..